After another quarrel with her husband Kanye West, Kim Kardashian took all their children with her to her mother. This happened because of the ongoing scandals in the famous family. Kanye West has a hard and complicated nature. Some days ago he was placed in a psychiatric hospital since he was not able to control his outbursts of anger. During his stay in hospital medical personnel became rather irritated by his vagaries and even had to handcuff him. If it was so hard to doctors, it is difficult to imagine what it is for Kim Kardashian and her children. Nevertheless, journalists believe that the celebrity couple has not broken up forever. 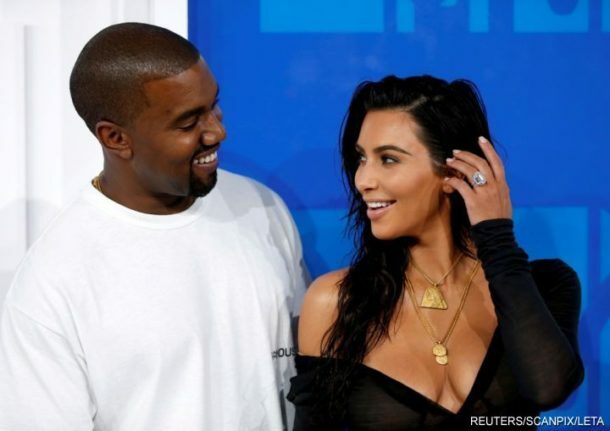 While Kim Kardashian is having a rest at her mom’s, Kanye West will have plenty of time to reflect on his actions, to come up with a plan of reconciliation and warm up family relations. Earlier in the network there appeared information that Kardashian complained about her scandalous husband as he did not participate in the repair of their huge house: neither morally, nor physically, nor financially. The poor woman was forced to take the responsibility for the rearrangement of the home, having spent all up about $ 10 million of personal savings.